Research Interest: Prognostic and diagnostic markers and novel therapeutic targets for human cancers, development of new therapeutic molecules against cancer, cloning, expression and purification of new biologics, testing the efficacy of small molecules, natural products and therapeutic molecules against various cancers, analyzing the pathway specific gene expression profile. 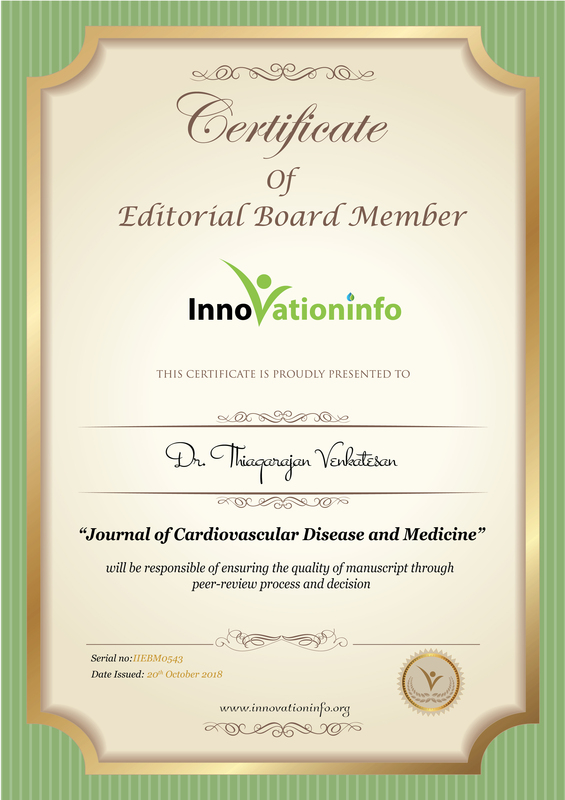 Biography: I am Dr. Thiagarajan Venkatesan currently working as an Associate Research Scientist in Rumbaugh Goodwin Institute for Cancer Research, Nova Southeastern University, Florida, USA. I did my Ph.D in Microbiology-Botany from University of Madras, India. I have also worked as a Research Scientist in R&D in Bharat Biotech and involved in the development of recombinant human vaccine against cancer. My work involved upstream and the downstream processing of cancer related viral antigens to the pilot and large scale levels. Currently I am doing the development of therapeutic proteins against selected targets in cancers. Also I am analyzing the gene expression pattern in highly aggressive cancers. I am an Associate member of the American Association for Cancer Research. I have published research articles in international peer reviewed journals and also presented papers in National and International conferences. Thiagarajan,V., Revathi, R., Aparanjini, K., Sivamani, P., Girilal, M., Priya, C.S and P. T. Kalaichelvan. 2011. Extra cellular chitinase production by Streptomyces sp. PTK19 in submerged fermentation and its lytic activity on Fusarium oxysporum PTK2 cell wall. International Journal of current Science. 1: 30- 44. Baskaran, C., Rathabai, V., Sivamani, P. and Thiagarajan, V. 2011. Antimicrobial activity of various root extracts of Coleus forskohlii. International Journal of current Science.1:78-84. Baskaran, C., Rathabai, V., Sivamani, P., Thiagarajan, V. 2011. Phytochemical investigation and antimicrobial activity of Corchorus aestuans (Tiliaceae). International Journal of Current Research. 3 (12): 80- 83. Charulatha, R., Prabhakar, S., Puratchimani, S., Sivamani, P., Kandeepan, C. and V. Thiagarajan, 2012. Serotyping of Salmonella strains isolated in and around Madurai, India. International Journal of current Science. 3: 57-60. Periyasamy Sivamani, Ganesan Singaravelu, Venkatesan Thiagarajan, Tamilarasu Jayalakshmi and Gopal Ramesh Kumar, 2012. Comparative molecular docking analysis of essential oil constituents as elastase inhibitors. Bioinformation. 8(10): 457- 460.